Time for our annual summertime rosé tasting. Hopefully on Saturday, June 15 @7pm, it will be nice and hot by then when we sample the summer’s new pink arrivals. 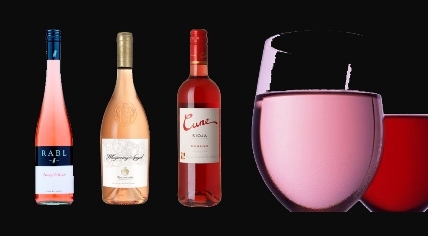 Rosés are certainly a mainstay in the summer season now, wonderful on the deck, with barbecue, or picnics or as a reception drink. We hope to have a huge selection for you by late April, and this tasting will showcase a few of our store favourites. Join us for this casual, punny, fun-filled stand-up pink event. Quite marvelous as a deck wine, and a wonderful alternative for those who only drink whites who want to venture slowly into reds. And fine food pairings with chicken, pork or salmon dishes. Note placeholders are of 2017 vintage, but all the fresh and vibrant 2018’s will be arriving shortly and will be tasted at this event.